Disclaimer: Unless a specific prebiotic is described in the General Statements below, ‘prebiotics’ refer to prebiotics in general. The MJN Premo blend of prebiotics consists of a prebiotic blend of GOS and PDX (1:1 ratio) at a total level of 4 g/L (stages 1 and 2) or 1.2 g/serving (stage 3). According to the FAO, a prebiotic is a nonviable food component that confers a health benefit on the host associated with modulation of the microbiota. Prebiotics include non-digestible or partially digestible carbohydrates which can selectively stimulate the activity and growth of beneficial bacteria in the colon. Breast milk contains a complex mixture of short and long chain prebiotics, called human milk oligosaccharides (HMO), that promote the growth beneficial bacteria throughout the large intestine,,. Bifidobacteria are considered to support the immune system response in the infant gut,. Bifidobacteria in the gastrointestinal tract contribute to the development of the infant’s natural defenses. Beneficial bacteria act as a first line of defense to inhibit digestive tract pathogens and reduce infections,. Prebiotics GOS and PDX promote proliferation of beneficial gut bacteria such as bifidobacteria,. Prebiotics help support intestinal health as demonstrated by softer stools and reduction in infections and/or diarrhea,,,. Prebiotics may help support immune system function and thus may support natural defenses. Disclaimer: The General Statements below are phrased to ensure clarity when referring to yeast β–glucans or β–glucans in general. MJN uses yeast β–glucan as an ingredient. Yeast β–glucans are carbohydrates composed of linked glucose molecules. β -glucan polymers, including those of yeast β-glucans, are recognized by receptors on immune cells. Binding of β–glucans, including yeast β-glucans, to these receptors initiates a cascade of events resulting in enhanced immune cell function and increased microbial clearance,,,. The innate immune response, which can be stimulated by yeast β-glucans, acts as a first line of defense to protect the body against invading pathogens. β –glucans, including yeast β-glucans and in combination with other nutrients, have been associated with reducing symptoms and/or prevalence of respiratory infection in children, and adults,,. Yeast β –glucans have been associated with fewer missed days of school and/or work due to illness in both children, when fed in combination with other nutrients and adults. Choline is an essential nutrient, with multiple functions. It is a precursor of the phospholipids phosphatidylcholine and sphingomyelin, which are major components of the membranes of all cells including neurons and glia; of the neurotransmitter and developmental growth factor acetylcholine; and of the methyl donor betaine. Acetylcholine is synthesized in the brain neuron in a reaction catalyzed by choline acetyltransferase, which transfers the acetyl group from acetyl coenzyme A to choline. Cholinergic neurons, which are the neurons dependent on acetylcholine to function, are located in the basal forebrain, hippocampus and frontal cortex of the brain. These areas are instrumental to long-term memory and cognitive processes. Studies on rodents have shown that choline supplementation during development results in improved performance in cognitive or behavioral tests (particularly those with more difficult tasks), and in changes in a variety of electrophysiological, biochemical and morphological endpoints in the brain. Iron is a transition metal, and an essential trace element for humans. It is best known as an essential structural component of the hemoglobin molecule, which transports oxygen to all the organs of the body including the brain. Iron plays a role in many physiological processes. Among these are several pathways important to brain development and cognitive performance. Iron is involved in several pathways important to brain development and cognitive function. Iron is involved in neuronal myelination, plays a role in brain energy utilization, and acts as a cofactor with enzymes involved in the synthesis of neurotransmitters such as serotonin, norepinephrine and dopamine,. Iron deficits are associated with poor cognitive performance. Insufficient iron intake during development can delay central nervous system development and lead to lasting changes in behavioral and neurological development,,. Zinc is a transition metal, and an essential trace element for humans. It is involved in many physiological processes essential to the growth and development of children. Particularly, zinc is essential for the development and functioning of the central nervous system. A vast number of proteins, including enzymes and transcription factors, require zinc for their functionality. These include proteins involved in brain tissue growth. Zinc is also part of structural proteins, and involved in neurotransmitter production and function. Zinc is essential for the development and functioning of the central nervous system. Zinc plays a role in the production and migration of neurons and in the formation of synapses,,,. Zinc deficiency during development may impede these neuronal structure and signal transmission functions. Iodine is an essential nutrient due to its role as a component of thyroid hormones. Among the roles of thyroid hormones in human health are the regulation of numerous physiologic processes, including growth, key aspects of neurologic development, and reproductive function. Iodine plays a pivotal role in brain development via the production of the thyroid hormones. These hormones are essential for central nervous system development including neurogenesis, neuronal migration, axon and dendrite growth, synaptogenesis and myelination. Pineiro, M., N. G. Asp, G. Reid, S. Macfarlane, L. Morelli, O. Brunser, and K. Tuohy. 2008. FAO Technical meeting on prebiotics. J Clin Gastroenterol 42 Suppl 3 Pt 2:S156-159. Roberfroid, M. 2007. Prebiotics: the concept revisited. J Nutr 137(3 Suppl 2):830S-837S. Harmsen, H. J., A. C. Wildeboer-Veloo, G. C. Raangs, A. A. Wagendorp, N. Klijn, J. G. Bindels, and G. W. Welling. 2000. Analysis of intestinal flora development in breast-fed and formula-fed infants by using molecular identification and detection methods. J Pediatr Gastroenterol Nutr 30(1):61-67. Bode, L. 2006. Recent advances on structure, metabolism, and function of human milk oligosaccharides. J Nutr 136(8):2127-2130. Penders, J., C. Thijs, C. Vink, F. F. Stelma, B. Snijders, I. Kummeling, P. A. van den Brandt, and E. E. Stobberingh. 2006. Factors influencing the composition of the intestinal microbiota in early infancy. Pediatrics 118(2):511-521. Boehm, G., J. Jelinek, B. Stahl, K. van Laere, J. Knol, S. Fanaro, G. Moro, and V. Vigi. 2004. Prebiotics in infant formulas. J Clin Gastroenterol 38(6 Suppl):S76-79. Sherman, P. M., M. Cabana, G. R. Gibson, B. V. Koletzko, J. Neu, G. Veereman-Wauters, E. E. Ziegler, and W. A. Walker. 2009. Potential roles and clinical utility of prebiotics in newborns, infants, and children: proceedings from a global prebiotic summit meeting, New York City, June 27-28, 2008. J Pediatr 155(5):S61-70. Knol, J., G. Boehm, M. Lidestri, F. Negretti, J. Jelinek, M. Agosti, B. Stahl, A. Marini, and F. Mosca. 2005. Increase of faecal bifidobacteria due to dietary oligosaccharides induces a reduction of clinically relevant pathogen germs in the faeces of formula-fed preterm infants. Acta Paediatr 94(449):31-33. Niers, L., M. Stasse-Wolthuis, F. M. Rombouts, and G. T. Rijkers. 2007. Nutritional support for the infant's immune system. Nutr Rev 65(8 Pt 1):347-360. Fanaro, S., B. Marten, R. Bagna, V. Vigi, C. Fabris, L. Pena-Quintana, F. Arguelles, K. E. Scholz-Ahrens, G. Sawatzki, R. Zelenka, J. Schrezenmeir, M. de Vrese, and E. Bertino. 2009. Galacto-oligosaccharides are bifidogenic and safe at weaning: a double-blind randomized multicenter study. J Pediatr Gastroenterol Nutr 48(1):82-88. Binns, C. W., A. H. Lee, H. Harding, M. Gracey, and D. V. Barclay. 2007. The CUPDAY Study: prebiotic-probiotic milk product in 1-3-year-old children attending childcare centres. Acta Paediatr 96(11):1646-1650. Bruzzese, E., M. Volpicelli, V. Squeglia, D. Bruzzese, F. Salvini, M. Bisceglia, P. Lionetti, M. Cinquetti, G. Iacono, S. Amarri, and A. Guarino. 2009. A formula containing galacto- and fructoGlobal Messaging Toolkit; Lighthouse. Confidential. For internal use only. Page 75 oligosaccharides prevents intestinal and extra-intestinal infections: an observational study. Clin Nutr 28(2):156-161. Ribeiro, T. C., H. Costa-Ribeiro, Jr., P. S. Almeida, M. V. Pontes, M. E. Leite, L. R. Filadelfo, J. C. Khoury, J. A. Bean, S. H. Mitmesser, J. A. Vanderhoof, and D. M. Scalabrin. 2012. Stool pattern changes in toddlers consuming a follow-on formula supplemented with polydextrose and galactooligosaccharides. J Pediatr Gastroenterol Nutr 54(2):288-290. Scalabrin, D. M., S. H. Mitmesser, G. W. Welling, C. L. Harris, J. D. Marunycz, D. C. Walker, N. A. Bos, S. Tölkkö, S. Salminen, and J. A. Vanderhoof. 2012. New prebiotic blend of polydextrose and galacto-oligosaccharides has a bifidogenic effect in young infants. J Pediatr Gastroenterol Nutr 54(3):343-352. Schley, P. D. and C. J. Field. 2002. The immune-enhancing effects of dietary fibres and prebiotics. Br J Nutr 87 Suppl 2:S221-230. Rice, P. J., J. L. Kelley, G. Kogan, H. E. Ensley, J. H. Kalbfleisch, I. W. Browder, and D. L. Williams. 2002. Human monocyte scavenger receptors are pattern recognition receptors for (1-->3)-beta-D-glucans. J Leukoc Biol 72(1):140-146. Liang, J., D. Melican, L. Cafro, G. Palace, L. Fisette, R. Armstrong, and M. L. Patchen. 1998. Enhanced clearance of a multiple antibiotic resistant Staphylococcus aureus in rats treated with PGG-glucan is associated with increased leukocyte counts and increased neutrophil oxidative burst activity. Int J Immunopharmacol 20(11):595-614. Brown, G., Gordon, S. 2003. Fungal beta-glucans and mammalian immunity. Immunity 19(3):311-315. LeBlanc, B. W., J. E. Albina, and J. S. Reichner. 2006. The effect of PGG-beta-glucan on neutrophil chemotaxis in vivo. J Leukoc Biol 79(4):667-675. Volman, J. J., J. D. Ramakers, and J. Plat. 2008. Dietary modulation of immune function by beta-glucans. Physiol Behav 94(2):276-284. Ganner, A. and G. Schatzmayr. 2012. Capability of yeast derivatives to adhere enteropathogenic bacteria and to modulate cells of the innate immune system. Appl Microbiol Biotechnol 95(2):289-297. Jesenak, M., J. Majtan, Z. Rennerova, J. Kyselovic, P. Banovcin, and M. Hrubisko. 2013. Immunomodulatory effect of pleuran (beta-glucan from Pleurotus ostreatus) in children with recurrent respiratory tract infections. Int Immunopharmacol 15(2):395-399. Li, F., X. Jin, B. Liu, W. Zhuang, and D. Scalabrin. 2014. Follow-up formula consumption in 3- to 4-year-olds and respiratory infections: an RCT. Pediatrics 133(6):e1533-1540. Talbott, S. and J. Talbott. 2009. Effect of BETA 1, 3/1, 6 GLUCAN on Upper Respiratory Tract Infection Symptoms and Mood State in Marathon Athletes. J Sports Sci Med 8(4):509-515. Talbott, S. M. and J. A. Talbott. 2012. Baker's yeast beta-glucan supplement reduces upper respiratory symptoms and improves mood state in stressed women. J Am Coll Nutr 31(4):295-300. Auinger, A., L. Riede, G. Bothe, R. Busch, and J. Gruenwald. 2013. Yeast (1,3)-(1,6)-betaglucan helps to maintain the body's defence against pathogens: a double-blind, randomized, placebo-controlled, multicentric study in healthy subjects. Eur J Nutr 52(8):1913-1918. Feldman, S., H. Schwartz, D. Kalman, A. Mayers, H. Kohrman, R. Clemens, and D. Krieger. 2009. Randomized Phase II Clinical Trials of Wellmune WGP for Immune Support During Cold and Flu Season. J Appl Res Clin Expt Ther 9(1&2):30-42. Zeisel, S. H. and J. K. Blusztajn. 1994. Choline and human nutrition. Annu Rev Nutr 14:269-296. Blusztajn, J. K. and R. J. Wurtman. 1983. Choline and cholinergic neurons. Science 221(4611):614-620. Meck, W. H. and C. L. Williams. 2003. Metabolic imprinting of choline by its availability during gestation: implications for memory and attentional processing across the lifespan. Neurosci Biobehav Rev 27(4):385-399. McCann, J. C., M. Hudes, and B. N. Ames. 2006. An overview of evidence for a causal relationship between dietary availability of choline during development and cognitive function in offspring. Neurosci Biobehav Rev 30(5):696-712. Prado, E. L. and K. G. Dewey. 2014. Nutrition and brain development in early life. Nutr Rev 72(4):267-284. Beard, J. 2007. 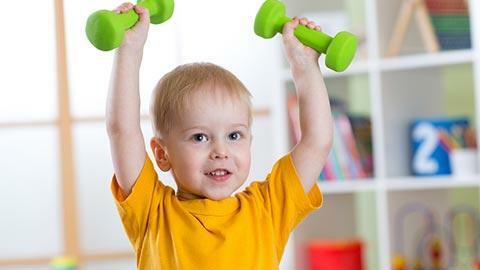 Recent evidence from human and animal studies regarding iron status and infant development. J Nutr 137(2):524S-530S. Bryan, J., S. Osendarp, D. Hughes, E. Calvaresi, K. Baghurst, and J. W. van Klinken. 2004. Nutrients for cognitive development in school-aged children. Nutr Rev 62(8):295-306. Beard, J. L. and J. R. Connor. 2003. Iron status and neural functioning. Annu Rev Nutr 23:41-58. Salgueiro, M. J., M. B. Zubillaga, A. E. Lysionek, R. A. Caro, R. Weill, and J. R. Boccio. 2002. The role of zinc in the growth and development of children. Nutrition 18(6):510-519. Colvin, R. A., N. Davis, R. W. Nipper, and P. A. Carter. 2000. Zinc transport in the brain: routes of zinc influx and efflux in neurons. J Nutr 130(5S Suppl):1484S-1487S. Frederickson, C. J., S. W. Suh, D. Silva, and R. B. Thompson. 2000. Importance of zinc in the central nervous system: the zinc-containing neuron. J Nutr 130(5S Suppl):1471S-1483S. Bhatnagar, S. and S. Taneja. 2001. Zinc and cognitive development. Br J Nutr 85 Suppl 2:S139- 145. Levenson, C. W. and D. Morris. 2011. Zinc and neurogenesis: making new neurons from development to adulthood. Adv Nutr 2(2):96-100.